Getting to the top of a search is, or should be every eBay seller's objective. Cassini, eBay's search engine, rewards certain behaviors and punishes others. Here are a few things eBay sellers can do to place higher in search, as well as things to avoid doing so your listings aren't punished and pushed to the bottom where buyers won't see them. eBay rewards sellers who offer stellar customer service, and offering a generous return policy is one-way sellers can serve customers better. eBay is all about the customer experience. 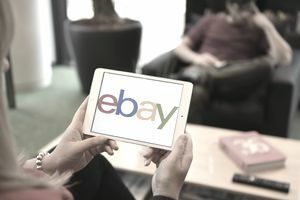 If sellers purchase an item that doesn't suit them and need to return it, eBay wants the customer to be able to get a refund or exchange the item for something that suits them better. Happy customers mean repeat customers. Happy customers also will tell their friends about their pleasant experience and more buyers will naturally come to the site. If you are concerned about getting a lot of returns and losing money, you can look at the situation from several angles. Always describe your item in great detail so the customer knows exactly what they are buying. If for some reason, as with clothing, if the item doesn't fit or the color doesn't match another garment, the customer can pay return shipping to ship the item back. Sellers are only obligated to refund the price of the item, not shipping. And you can always charge the customer a restocking fee to cover eBay fees. Then, just list the item again. If someone bought it once, someone else will buy it when it is returned. Furthermore, if you are getting a lot of returns, you may want to look more closely at your business. Perhaps it is your product line. Formal wear and designer handbags are high return items. If the items aren't high return items, maybe closer attention should be paid to providing accurate photos or better descriptions. When sellers have a high return rate, something is usually off with the listing, policy, or photos, not necessarily the product. In years past, eBay sellers spent a lot of time trying to outsmart the search engine. The reality is that Cassini is very complex and there are many variables involved in getting to the top of the search, so there is no one easy thing to do to reach the top. One common-sense technique is to write titles with keywords that buyers will search for. The days of keyword stuffing are gone. According to​ Big Commerce, "Keyword stuffing is the "black hat" search engine optimization strategy of directly or deceptively including a target keyword numerous times on a page. Though keyword stuffing was effective for many e-commerce businesses in the early days of SEO, it is now likely to incur harsh Google penalties and is not viewed as an effective method to improve search rankings." Think like a buyer, and write titles like you are a buyer looking for an item. A buyer may use the brand name, color, size, model number, and synonyms for the item if they aren't sure what to call it. Don't overthink this. Writing a title shouldn't take more than a minute or two. Promoting your eBay listing on social websites like Facebook, Pinterest, or Twitter can be helpful, but listings with lots of views and no sales will get pushed down in search. Use discretion on how much social promotion you do. Let buyers find your item organically through eBay search and Google. Artificially inflating views can actually hurt you on eBay. Cassini wants relevant traffic, not artificial traffic. After all, would you rather have 100 views from people who aren't interested in the item, or 10 views from serious buyers?